Worldwide, buildings consume a large part of the total energy delivered. In the context of all the end-use sectors, buildings represent the largest sector with 39% of the total final energy consumption, followed by transport in the EU (European Union ). A considerable percentage of this energy consumption is attributed to the residential sector. The building sector plays a major role in order to meet the energy saving targets set in the EU and in the Netherlands. This is particularly true for existing buildings, because they will constitute the major part of the housing stock over several decades. The renovation activity is expected to be greater than the construction and demolition activity in the future. Policy targets and regulations are in force at the EU level to ensure the energy efficiency improvement of the building stock. The Energy Performance of Buildings Directive ([EPBD] 2002, recast 2010) is the main legislative and policy tool in EU and focuses on both new and existing buildings. At the same time, the building sector plays a prominent role in the Energy Efficiency Directive ([EED] 2012). Relatedly, in the Netherlands, the foundation of energy efficiency policy has been a number of national cross-cutting measures and EU derived policies that play a large role; like the strengthening of standards for new buildings or dwellings and energy labels for existing ones. The focus of this research is the existing dwelling stock and its energy performance progress. Throughout Europe, national approaches to building stock monitoring have evolved separately. Nevertheless, monitoring the building stocks’ energy performance is gaining attention. Information about the progress of energy performance improvements is not only needed to track the progress of policy implementation, but also better information and data are necessary to help the development of roadmaps towards a more energy efficient building stock. 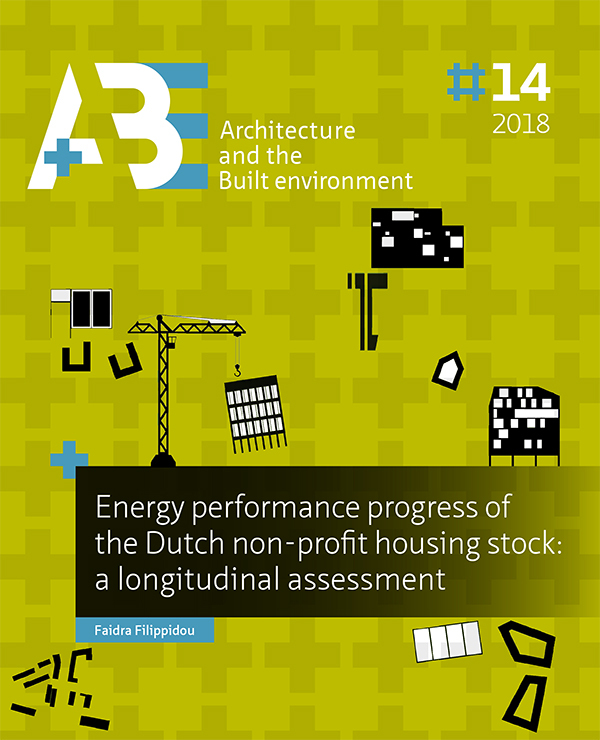 This research seeks to provide insight into the energy performance progress, of the existing non-profit housing stock in the Netherlands, through the application of energy renovations. The non-profit housing stock comprises 30% of the housing market in the Netherlands and a large part of the policies towards a more efficient housing stock rely on the non-profit housing sector. To that end, we determine the energy renovation rate of the stock and the impact of the applied renovations on both the predicted and actual energy consumption. The difference of predicted and actual energy savings is analysed through longitudinal statistical modelling in renovated and non-renovated dwellings. Based on the knowledge gained on the renovation rates of the non-profit housing stock we compare and evaluate future renovation rates through dynamic building stock modelling and empirical data validation. In essence, we examine the effect that the improvement of thermo-physical characteristics of dwellings has on efforts to make the existing housing stock almost emission-neutral by 2050, as advocated by the European Commission since 2011. The rapid growth of urban areas has led to the unsustainable use of resources (Langeweg et al. 2000; Bhatta 2010; UN 2014). The impacts of urban areas are evident in regions which supply cities with food, water, energy and absorb pollution and waste (UN 2014). At the same time, the current world population, of 7.6 billion, is predicted to reach 8.6 billion in 2030 and 9.8 billion in 2050 (UN 2017). Moreover, the urban population, in 2014, accounted for 54% of the total global population. This signifies a 20% increase since 1960. In 2014, the majority of people - 54% - were living in urban areas and this percentage is estimated to rise in the future (WHO 2017). In Europe, 72.5 % of European Union (EU)-28 countries inhabitants lived in cities, towns and suburbs in 2014 (Eurostat 2016b). Nevertheless, differences between countries exist. Figure 1.1 shows the urban population growth of the Netherlands in comparison to the EU, Germany, Spain, France, Slovenia and Sweden. The Netherlands is characterised by a high level of population density and a high share of urban land use, whereas in most of the Scandinavian countries and Spain much lower levels of urban land use are present (Eurostat 2016b). In this context, the main challenge is to accommodate a greater number of people while reducing the impacts on the environment, which are the main cause for climate change (IPCC 2014). Relatedly, the improvement of the quality of life of city residents is a priority (EEA 2015). Households have a large impact on energy intensity and final energy consumption, as Figure 1.2 shows. The energy intensity3 of households, depicted on the left hand side of Figure 1.2, is increasing and at the same time 25.4% of the final energy consumption in the EU 28 was attributed to the sector in 2015 (24.8% in 2016), shown on the right hand side of Figure 1.2 (EEA 2013; Eurostat 2016a). The potential for energy consumption reduction of households is large and is set as a key priority in the policy goals and directives by the European Commission (Paulou et al. 2014; Saheb et al. 2015). One of the most prominent ways to reduce the energy consumption of residential dwellings is through energy renovations.